We are excited to announce that our Intermediate/Advanced Turn Patterns DVD is FINALLY HERE! We went the extra mile to ensure that the material, quality and level of instruction are top-notch! You need to get the Flash Player to watch this video. 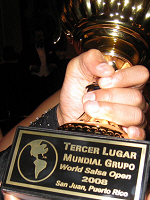 This DVD includes some of our favorite turn patterns, styling options for ladies in every one of them, and demonstrations on both of the most popular Salsa dance styles: On1 and On2! Price: $39.95 Includes FREE Shipping worldwide! 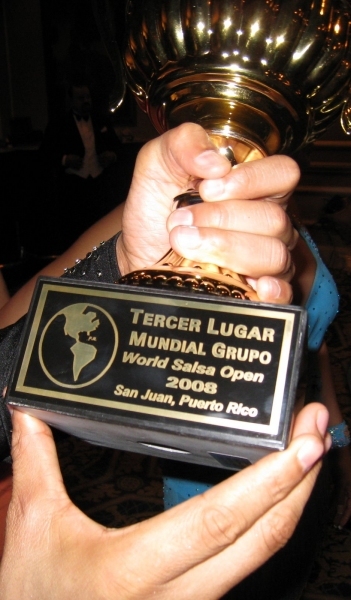 Jazzy Dance Company wins 3rd place at the Puerto Rico World Salsa Open in the team division.